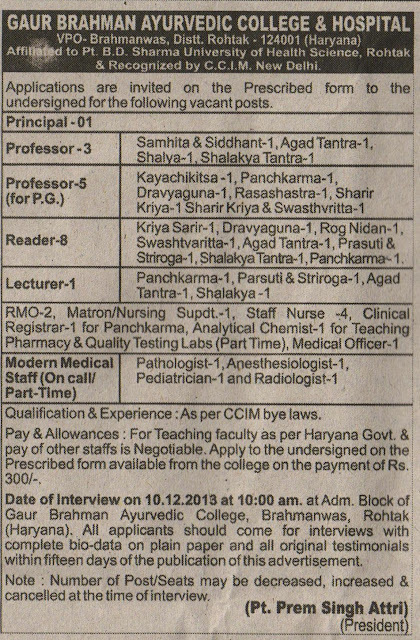 Gaur Brahman Ayurvedic College is at VPO- Brahmanwas, in Rohtak (Haryana) Which is Affiliated to Pt.B.D.Sharma University of health and Science, Rohtak and Recognized by C.C.I.M., New Dehli. Application should be reached at the college before 15 days from today. Application should be like that bio-data of the job seeker and fee payment.